In the eight years following the final episode of MTV's iconic series The Hills, Lo Bosworth has been busy. For one, she's entered the world of blogging, but unlike other influencers within the lifestyle set (and before you may feel tempted to roll your eyes), there's a deeper beat of depth and meaning to the work she's doing—an authentic pulse dedicated to lots and lots of woman love with a hearty side of self-improvement, empowerment, and advocation. A pattern that, in the year 2018, feels particularly necessary and refreshing. In addition to TheLoDown, an online hearth featuring an addictive melding of all things beauty, wellness, and entertainment (so many good recipes—consider yourself warned), Bosworth also co-hosts the award-winning podcast LadyLovin alongside friends Jilly Hendrix and Greta Titelman. For a taste, consider it the ultimate way to sip some (nonliteral) tea on topics of sexual health, relationships, and the like during what used to be your ho-hum morning commute. Additionally, the former TV star is now the founder of Love Wellness, a comprehensive, shoppable site featuring an assortment of health and hygiene solutions like supplements, multitasking feminine wipes, and yes, whimsical, glow-enhancing elixirs like blue-green algae–spiked tea. 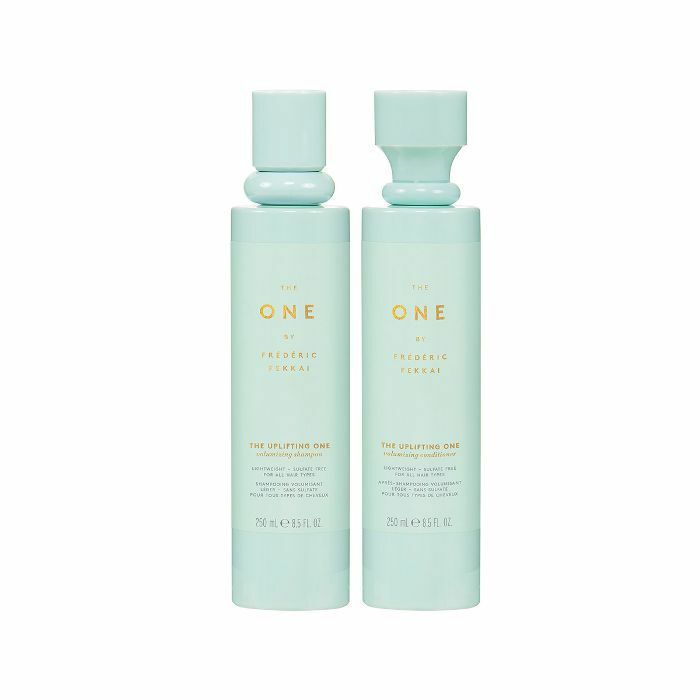 To top things off, this summer, Bosworth has partnered with one of the most iconic haircare brands in the business, Frédéric Fekkai in celebration of its newest specialty collection: The One. A fitting match not only in part to Bosworth's fantastic head of hair (seriously, it's enchanting), but because Fekkai is a brand she's religiously used and loved for years, even, she tells me, pre-fame. And The One, it turns out, has only caused her to fall harder. "I've loved the brand for so long, so it's a really special partnership to me," Bosworth explains during an Ulta-based Meet & Style just outside of San Francisco. 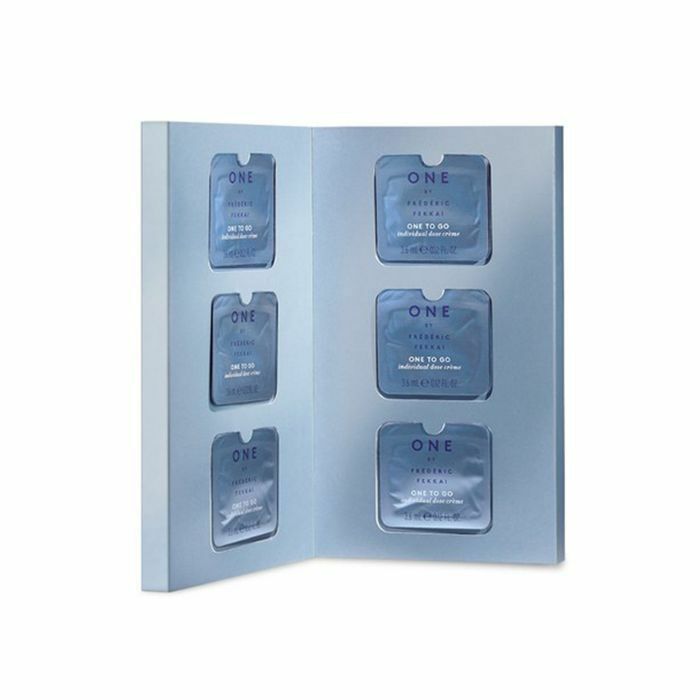 "And the products from The One are so amazing. They have all of these great ingredients from the sea, they smell intoxicatingly good (as an aside and newfound obsessee, I can personally vouch for this), and the packaging is so beautiful. It almost doesn't even look like haircare, so it looks really wonderful in your bathroom." Another perk we soon agree on? It's the single (or should I say "the one"?) best line of product to apply pre–night out. "I always use a Fekkai product before I go out on a date because my hair smells so good," Bosworth laughs with her signature infectious lilt. "I always get so many compliments." Of course, there's more where that came from. After making our way to the back of the store and navigating (with a certain degree of difficulty) a pair of unwieldy black leather salon chairs, we embark on a 15-minute interview, which ends up feeling more like an overdue catch-up with a friend I've known for years. (And no, I'm not alluding to the fact that Bosworth has been in the spotlight for more than a decade nor that she was always my favorite personality on The Hills.) Instead, it has more to do with the fact that when Bosworth looks at you, she really looks at you. She exudes kindness, but there's also a touch of tangible fragility (something some celebrities coat with a layer of indifferent passivity) and the way she ends most of her responses with a personal-feeling, "you, know?" Almost like I should know, or like she's trusting and allowing the idea that I might be able to relate to her. And quickly, I find I do. Ahead is the ultimate tip-studded catch-up, featuring lessons on hair, health, and happiness and how to harness all the above on your own terms. Plus, Bosworth's favorite product picks from The One by Frédéric Fekkai. Keep scrolling. Silky, lustrous, and tousled just so—aka not too messy and not too precious—I immediately notice it's almost impossible not to stare at Bosworth's hair. It's remarkably light in hue, but it's not at all dehydrated or damage-ridden—a war wound all too common among most blondes I know, myself included. "Lately, I've been doing this sort of 'undone curl,'" she tells me, as she reaches for a section and gently shakes it. "I curl my hair, but only about seven or eight pieces—I just take really big sections. Then, using a boar-bristle brush, I brush through the curls just once so that they're not in ringlets, and then I spray with hair spray to set it all in place. It's a really pretty look that's a little bit undone—it makes your hair look really soft and creates these chic waves perfect for summer. "As far as keeping it healthy, I don't shampoo and condition every day, which is actually only something I've started in the past year and a half or so," Bosworth admits. "Also, I really try to let it air-dry whenever I can. During the week, especially if I don't have a date or dinner plans, I just try to let my hair dry naturally in a bun or something easy—I try to give it more days off than on." Although Bosworth may be known for her California-blonde hair and sun-kissed skin, she's quick to acknowledge the Californian beauty ideal (especially pertaining to Los Angeles) hasn't always resonated. In fact, it was only when she left L.A. that she felt free to explore her individual aesthetic. "I've lived in New York for more than six years now, and the focus there is less on what I would describe as 'made-up' beauty and more on natural beauty," Bosworth explains. "There's a greater emphasis on things like skincare and beautiful hair, which has allowed me to let go of some preconceived notion of what I have to look like. Everyone there is so individual, and individuality is really celebrated. And so to a certain degree, I've been able to relax in terms of my image and instead work on embracing who I am. I haven't really found life is necessarily better when you're totally done up. You might feel better for a brief period of time, but I wouldn't say that it changes who you are in any kind of way. "Of course, there are moments when a great beauty product can totally change your day. I mean, I started playing and experimenting with makeup when I was 5! I had the Kevyn Aucoin books, and I remember sitting in the bathroom sink and re-creating all these looks. I've always been a huge fan of beauty, but I think my relationship with specific products has just changed over the years. But you should still see my bathroom—I probably have a thousand beauty products," she laughs. "A few years ago, I was having some health issues, which really affected my mental health and well-being," Bosworth responds after I ask how she manages to prioritize self-care despite her on-the-go lifestyle. "It was the first time in my life when I was forced to take stock of my health in a really serious way. I had this terrible anxiety, and I had to figure out a solution. And for me, addressing it through wellness and self-care has helped more than anything. I've tried more traditional options like pharmaceuticals, but in general, I've found I like to take my health into my own hands and really become my own advocate." So what have been Bosworth's saving-grace practices? Interestingly, nothing drastic—proving it doesn't necessarily take extraordinary measures to provide extraordinary results. "I've found that what you eat is tremendously important, and how much water you drink is tremendously important. You should meditate and you should sleep more than you think you may need to," Bosworth emphasizes. "Meditation has really been a great practice that has allowed me to get outside of myself, so when I start feeling uncomfortable, it's a lot easier for me to move forward. There's a great app called Headspace where you only have to meditate for like five or 10 minutes, and even that makes a big difference." One thing I was consistently reminded of while chatting with Bosworth? Everything is temporary, and perhaps, we're all just putting too much stock (and stress) into decisions that feel more momentous than they truly are. For instance, in the past six years, Bosworth has moved from L.A. to New York, back to L.A., and now back to New York again, with each journey serving a very specific purpose. "In hindsight, I've learned the process in making these big life decisions doesn't have to be such a big deal. For instance, if you're considering a big move that seems intimidating, keep in mind you can always move again, you can always make another decision. I wouldn't put so much stock in one thing that you think is really going to change your life. We're adaptable, and the great thing about being human is that we have the choice to do what we want! I mean, look at me—I'm moving back to New York! "In L.A., I find my body vibrates at a much lower frequency, which is really nice. So I left New York a couple of months ago with a specific intent to sort of experience a reset. It was a very purposeful decision, but now I feel really good about making the transition back to New York again. It's like, I got the rest I needed, you know?" 1. "I try to talk to my parents and my brother and sister on FaceTime. Maintaining a really close relationship with family is really important to me, it's really fulfilling, and it makes me happy." 2. "I try to do something self-care-y everyday—whether it's exercising, sitting in a steam room, taking an amazing bath with essential oils, or going on a hike. It's so important to take care of yourself to a certain degree every day. Put down your cell phone, turn off the noise, and just be a human in your body." 3. "Okay, I know people say this all the time, but I also try to drink enough water. I'm sorry, but it's just true! You feel so much better. Your skin is clearer, you're more moisturized, your digestion is working properly, you're getting all the toxins out of your body. I find that when I have a water bottle with me at all times during the day, I drink so much more water, and that is such a simple, basic tip, but if you have it with you, it's so much easier to shift your mindset. You can just think, okay, I'm going to drink this all day, and I'm just going to keep refilling it." "I went to culinary school in New York, so I have always been really focused on food. It allowed me to learn how to cook with healthy ingredients, so I had sort of already been on that track. But when I was struggling with my health a few years back, I actually found out I had some really severe vitamin deficiencies. "That being said, I've found eating a diet that's balanced nutritionally has helped every aspect of my life—not just during a period when I wasn't feeling well. You just feel so different and operate at a higher level. I try to eat organic as often as possible, and I try to avoid processed foods and preservatives. So, in that way, my life has really changed. I shop differently, and I do my best to stick to particular restaurants when my friends and I are out." Which begs the question, what does a typical day of eats look like for Bosworth? "For breakfast, it's either bone broth or a really high-fiber cereal. And then for lunchtime, I try to stick to fruits and vegetables alongside a lean protein. I know dinner probably isn't the best time for me to splurge, but it's usually when I usually splurge," Bosworth laughs. "I mean, when I'm in New York, I go out to dinner so often and I get dinner with my friends, and we always tend to share. There's always a little bit of pasta, there's always a piece of fish, there's always chicken, and there are always vegetables! We still try to keep it pretty healthy, but we always allow ourselves a carb or two." Because who knows? You might just end up down-sizing your skincare regimen. "Until recently, my friend Jilly Hendrix (ed. note: who Bosworth hosts LadyLovin with) has never gone down the road of using a lot of skincare products, but she also might have the best skin I have literally ever seen. And so recently, I've tried to adopt more of her less is more strategy. I've looked into it, and there are actually some studies that say all the skincare products we use might age us faster. I've really pumped the breaks on what I use every day, and I will honestly say my skin is looking better because of it!" Of course, Bosworth hasn't banished her stash of skincare completely and is more than happy to tell me the products she still swears by for a flawless complexion. "I religiously use SkinMedica's Total Defense + Repair SPF 50+ ($68). It's actually one of the only sunscreens on the market that has infrared protection in it, so it provides more comprehensive protection. I also its TNS Essential Serum ($281)—a cult-classic. I use Retin A, moisturizer, and that's it! I've honestly cut out everything else. For cleanser, I kind of just use whatever I have around—I'm less particular—honestly, whatever I can find that will just get my face clean," she laughs breezily. Keep scrolling for Bosworth's must-have hair products. "Um, I love the dry shampoo," Bosworth emphatically told me right off the bat when I began quizzing her about products. As mentioned, the scent is luscious, and post-spritz the hair never feels gritty or weighed down. Instead, the brand's exclusive marine technology leaves strands feeling light, voluminous, and satiny smooth. 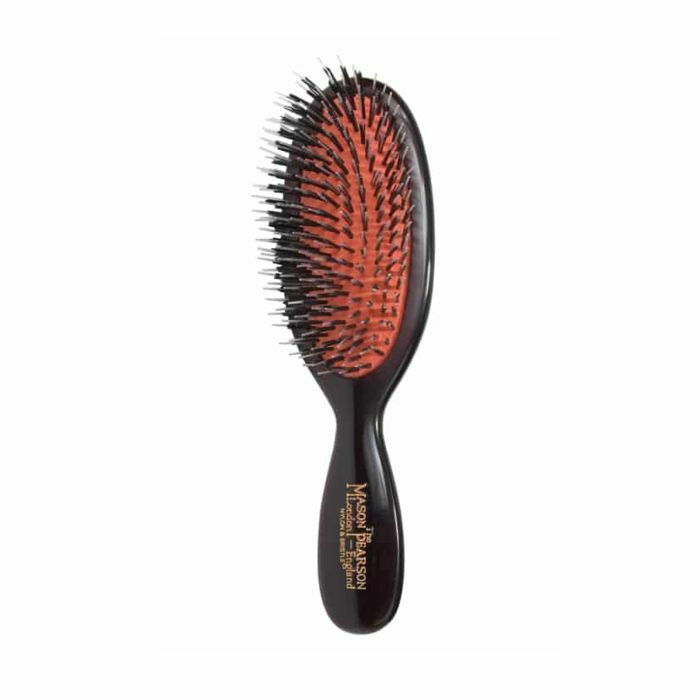 To achieve her signature undone curls, Bosworth mentions a boar bristle brush as one of her styling necessities. We can't recommend anything better than this cult classic from Mason Pearson. To set, The One's covetable hair spray is one Bosworth trusts never to leave her stands stiff or sticky. "I go back and forth between New York and L.A. a lot, and these travel-size product pods are so helpful—especially when I'm just bringing a carry-on," Bosworth tells me. For an extra dose of polish, smooth over damp or dry strands. The newest addition to the collection, Bosworth touts this volume-enhancing duo as one of her all-time favorites for achieving consistently great hair days. Formulated with South Sea Blue Seaweed Extract, it delivers simultaneously life and thickness. Next up: Read all about Kristin Cavallari's beauty routine here.